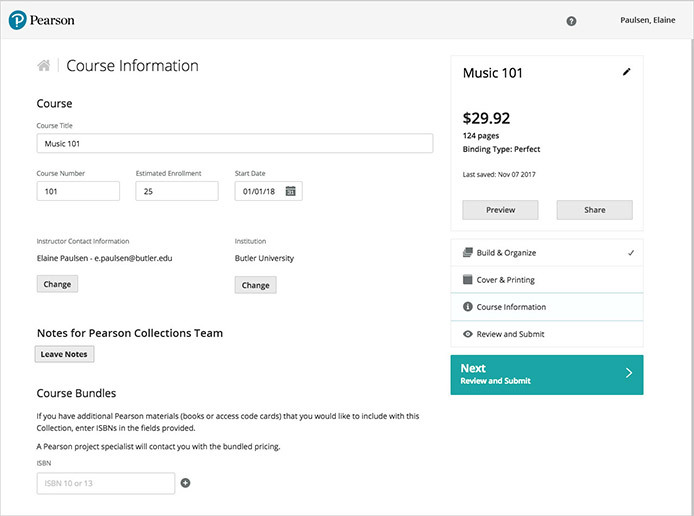 We’re excited to bring you a new, improved way to build and manage your own custom Collections. This guide will walk you through what’s different so you can make the most of the new features. 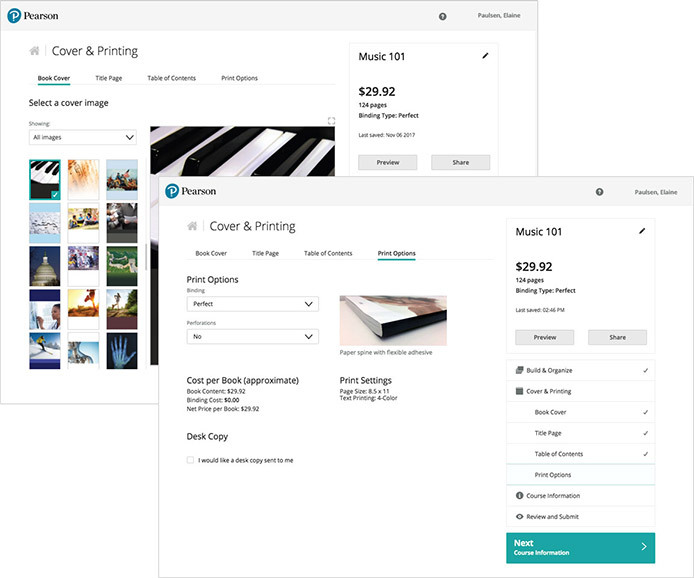 From the newly designed home screen, you can access any of your Collections, with one-click options to share, edit, or preview your work. This makes it easier to focus on a single Collection at a time. 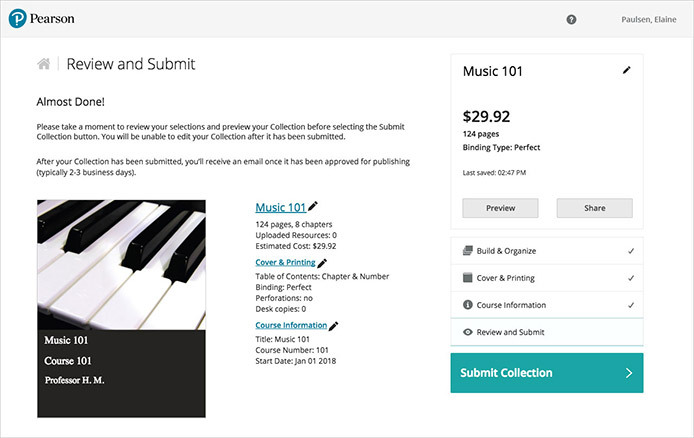 Once you’ve selected or created a Collection, it is easier to add and rearrange your content. Simply drag and drop resources to place them in whatever order you’d like them to appear in the finished Collection. 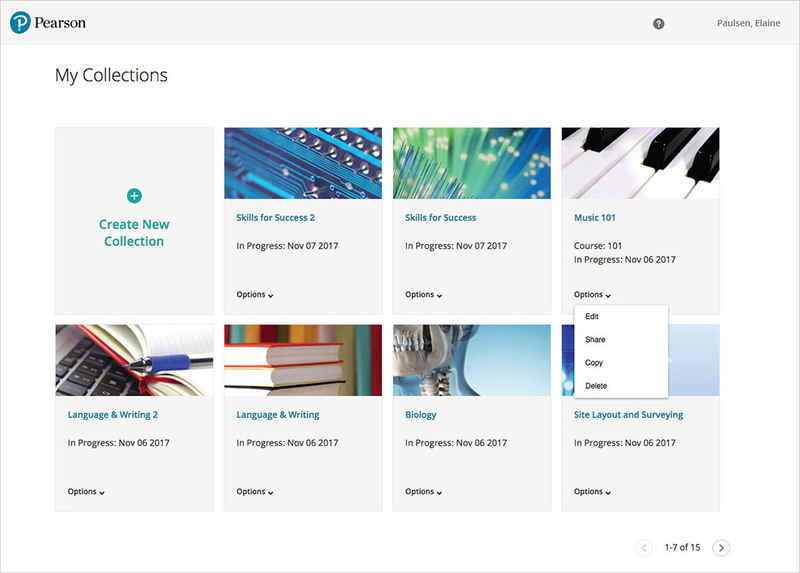 If you’d like to add more content, you can search for additional Pearson Collection resources or upload your own material. Tip: On the same screen, you can insert new content to a specific place in your Collection by hovering over that location, or you can split your Collection into multiple parts. From Search, you can select one or more resources to Add to Collection, and this will bring you back to the Build & Organize screen. 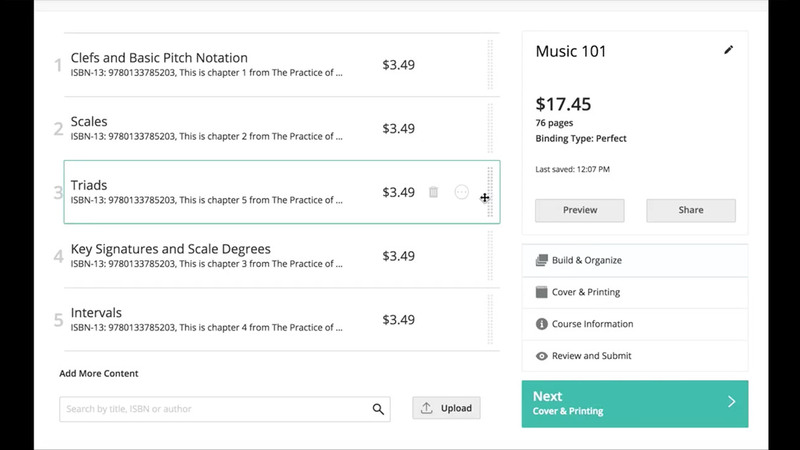 For Books, you can select View Table of Contents to see and select multiple chapters at once. Once you’ve built your Collection, you can easily customize the cover, title page, and even the binding that will be used on your book. We know your time is valuable, so we’ve streamlined this process. 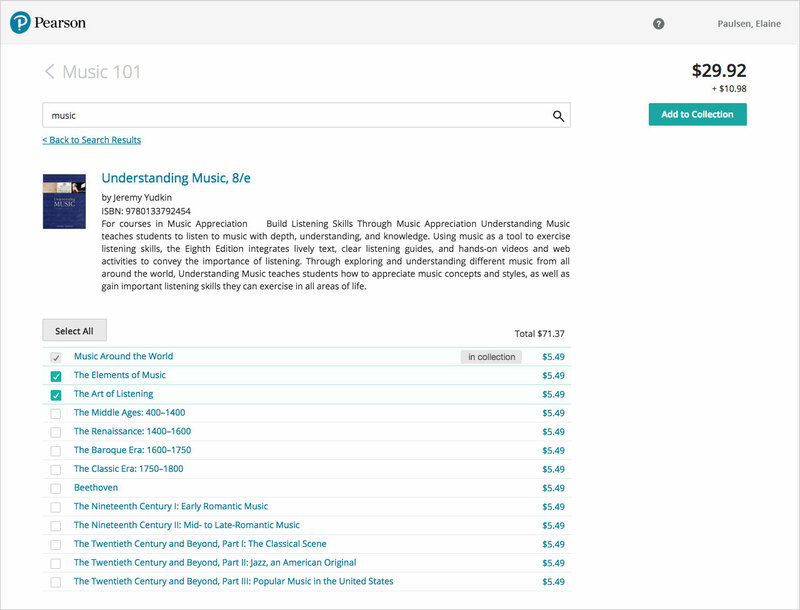 There are just a couple of key pieces of information about your course that are needed in order to publish your Collection. This quick summary of your selections is your chance to double-check and make sure everything is exactly the way you’d like it. You can return to any step to make any necessary changes. If you haven’t already done so, now is a great time to use Preview and take a good look at how everything appears. You can also use Share to download PDFs of your cover and Table of Contents to send as an email attachment, or even share the entire Collection if you’d like. Once you’re happy with your Collection, select Submit Collection, sit back, and relax! Ready to build your own custom Collection?